other platforms as a feature of a website or a browser convention, making the Internet more graphically intuitive, entertaining, and collaborative. In my view this just-launched stand-out publication is must reading for all those involved in real world “business” in virtual worlds – educators, commercial entities and service organisations. As virtual worlds become more mainstream, even in New Zealand, which has an ante-diluvian ADSL broadband system which sometimes makes their use extremely difficult, the momentum is increasing as more powerful home computers and virtual worlds become available and stability issues appear to be on the wane in some of the worlds, particularly Second Life. 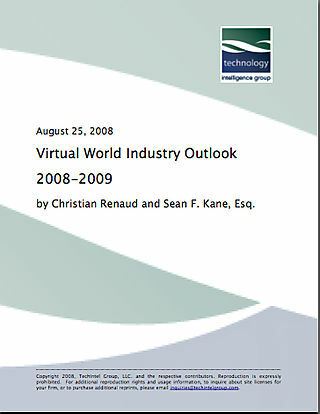 However, despite increasing confidence around graphics in virtual worlds – “the current slate of graphics challenges associated with virtual worlds may soon be remembered in the same vein as 64k computers,” according to Renaud/Kane – the New Zealand experience still means that the average NZ broadband customer with a PC older than 18 months still faces immense difficulties and frustrating challenges, challenges which might yet stymie education efforts, outside the tertiary institution campus environment with its own network. There have been reports of educators in New Zealand being unable to get their classes on-line through their students being blocked by Linden Labs from creating avatars in SL. way to set up an IP Whitelist is to submit a support ticket (http://secondlife.com/support). “We’ve got Concierge Lindens who frequently handle this kind of request, and it is all done through the support ticket system,” he said. His advice followed a heads up from LillieJay Mills who after whitelisting her community college’s IP addresses had to make the request again within four months even though given a six-month window. The six-month window supposedly allows six months before you have to re-submit the IP Whitelist if no activity. If your IP changes you’ll also have to re-submit. New Zealand educators – and their adult students – will soon be able to “live and learn” in a virtual 3D world. 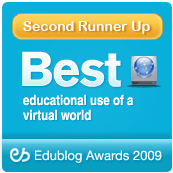 The New Zealand virtual world education group, Second Life Education New Zealand (SLENZ), is to invite groups of New Zealand educators to join its research project in the on-line virtual world of Second Life in September. Funded by the New Zealand Tertiary Education Commission the research project, which has been set up to learn how multi-user virtual environments might be used to improve student learning, has already attracted considerable interest from educators. Using the multi-user virtual environment Second Life, the project aims to delineate and demonstrate to New Zealand educators and students the educational strengths of learning in a virtual world. “Multi-user virtual environments, in which individuals create avatars, digital representations of themselves to ‘live’ in a 3D virtual ‘world’, are offering a revolutionary view of how individuals and educational communities may interact and learn in the future,” joint leader Terry Neal said of the recently launched project. The project team plans to invite applications from groups of educators to work with the project team next month. The project team, she said, would provide support “every step of the way” with funding available to release a participant in each group from some teaching responsibilities so they can commit themselves to the project as well as travel costs associated with the training. Educators wishing to pursue the possibilities of education Second Life should contact either clare.atkins@nmit.ac.nz or Terry Neal at terry.neal@blendedsolutions.co.nz to express interest. If you have any questions Terry can be phoned on 04 233 2587.